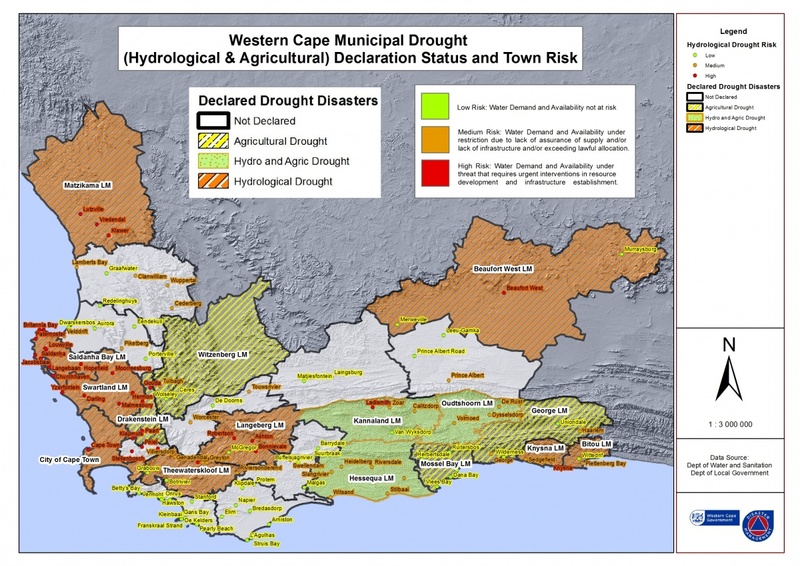 As from 1 December 2018 the City of Cape Town has put Level 3 water restrictions in effect. Residents and visitors in Cape Town are restricted to using 105 litres of treated water per person, per day. We've faced serious water shortages due to poor rainfall during our 2015, 2016 and 2017 winter seasons. The demand for water has also steadily increased every year due to the province's rapidly growing population and economy. This, as well as unpredictable climate change, has added significant pressure on our water supply. In order to ease the pressure placed on our water supply, municipalities across the province will continue to implement level 1 to 6 water restrictions for the foreseeable future. These restrictions place higher tariffs on water consumption to encourage you to use only what you need. Other penalties such as fines or even imprisonment for blatant water wastage are also possible depending on your municipality's stipulations. 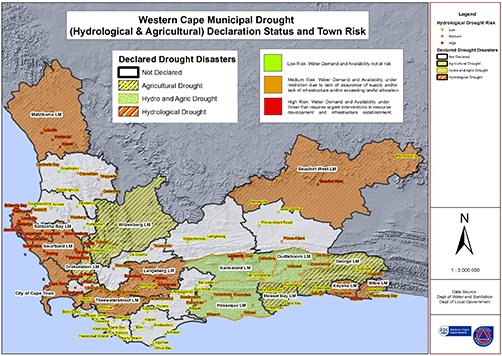 Please consult the municipal guideline for definitions of the water restrictions for your municipality. Are there plans to increase water storage capacity? Yes. The City of Cape Town has initiated a number of water augmentation projects to help with increasing water supply. Read Premier Helen Zille's answers to frequently asked questions (FAQs) about Cape Town's water crises. Other than using water in our homes for cooking, washing and sanitation, water also plays a central role in the economy of the Western Cape. The agriculture sector relies heavily on a reliable and sustainable water supply in order to produce good crops and sustain livestock. The manufacturing sector also needs water to produce manufactured goods. Water is also lost to evaporation, leaks in water supply pipes, and deliberate water wastage. Go beyond ordinary water-saving and get creative with new ways to save as much as you can. Our water security is vital for almost everything we do, which is why it's important that we all work together to ease demand on our water supply. Remember, every drop counts! Report leaks and burst pipes to your local municipality. Use our water saving tips and follow your municipality's guidelines for water restrictions. Share your water saving ideas on social media and encourage family and friends to do their bit as well, so that we save as much water as we possibly can, together! The province is supplied with water by 44 main dams. These dams collectively hold a maximum storage capacity of 1870.4 million cubic meters. The average storage across the province on 15 April 2019 is 35.6%. How full is the dam in my region? You can keep track of the water storage levels in dams across the province using the map below. Information on dam storage levels is supplied by the national Department of Water and Sanitation.